Kyrie Irving talks about his future in Boston - what does it mean? At Madison Square Garden, reporters asked the question we all wanted to know about concerning the New York Knicks and rumors the star guard might consider signing there this summer - and his answer might make you nervous (per the Boston Globe's Adam Himmelsbach)". What does this all mean? 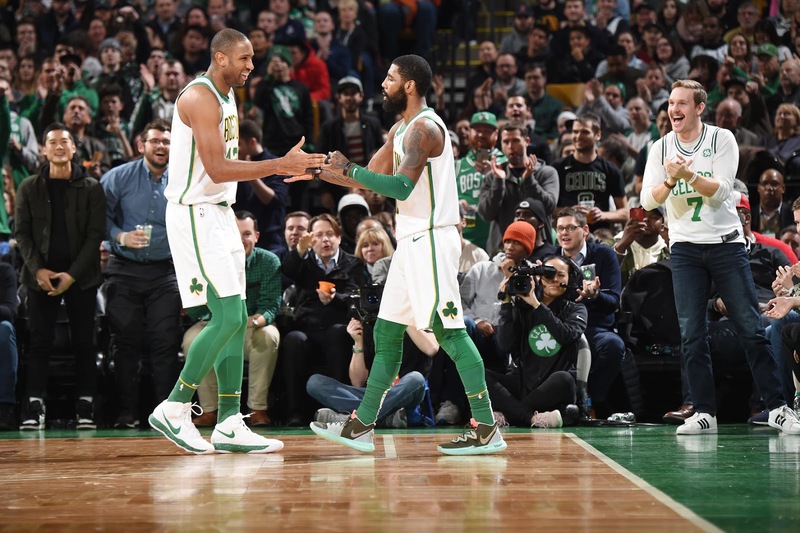 Well, a superficial take is that 1), the stakes are high, and anything can happen in these moments, 2) Kyrie is likely as tired as we are of the takes coming from all sides, and 3) the fluidity of the situation ought to give you pause as a Celtics fan, as while Irving chose his words carefully to note that Boston's still in pole position to retain his services, the possibility is very real that events beyond his control could change things radically for all involved. Don't freak out, ride the wave - as you were.